Check out this TED talk from this young man, Lewis Tachau, who presents about gaming, learning, skills and self-regulation as a gamer. 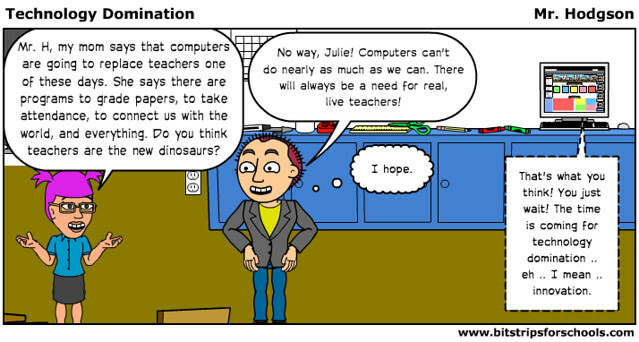 Someone suggested I try to submit a comic to ISTE Daily Leader’s ISTE 2012 Comic Contest (winning comics about education and technology would be featured in their newsletter), so I gave it a shot and submitted this one. It didn’t win. But it was fun to create. Most social media use is across genders, except for sharing of photos (girls do it more), and girls are also more apt to be stressed about that photo sharing. So, interesting stuff. Be aware that while CommonSense Media is a great site, full of resources, they are also a site that is very critical of the ways that technology influence children. 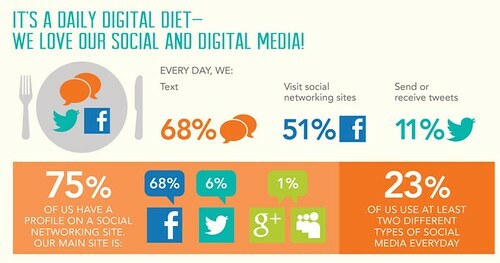 So the quotes used in the infographic and the ways that findings are presented no doubt serve the identity of the organization. But, even so, I found the information useful as a father, and as a teacher. One of my summer goals is to work on, and maybe finish, a short story that I have been diving into as part a Teachers Write network. I’m hoping I don’t lose focus with the story, which involves a young character named Manny, the discovery of a mysterious slip of paper in a comic book, and something with a neighbor. 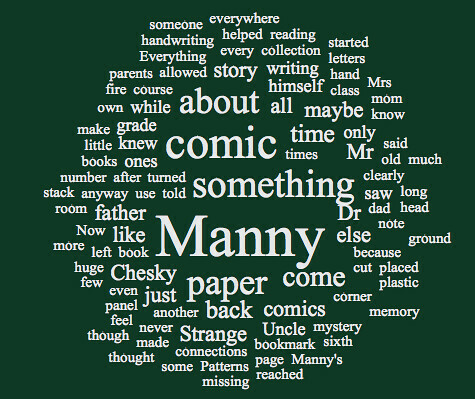 This morning, a prompt asked he to put some of what we have written into a word cloud, just to see what words and phrases and maybe themes rise to the surface. I am looking forward to talking with National Writing Project friend Paul Allison and others on tonight’s webcast episode of Teachers Teaching Teachers. Paul asked if I would join him to chat about some of the projects and work and play that my students did over the course of the school year, so I am going to focus a bit on our research essay/multimedia project, and then shift into video game design in the classroom. I also hope to discuss a summer reading project that I am doing in Edmodo with a new teacher colleague out in Texas, where our students are using (sort of) a shared Edmodo space for book talk. And then who knows where the conversation might end up. The livestream of the discussion will be over at EdTechTalk: http://edtechtalk.com/ttt tonight (Wednesday) at 9PM ET / 6PM PT. If you can join us in the chat room there, that would be cool. If not, I will post the archived video discussion that Paul creates over here when it is live and ready. The other night, our local park held its second annual Fireworks Event for Independence Day (a little early, I know). My wife and I, and our youngest son, set up chairs at local golf course so we could watch the action in the skies while still avoiding the crowds after the event. It was a beautiful night, and the fireworks were spectacular to watch. Just wonderful. We even forgot the bugs that were pouncing on us as we waited for the pyrotechnics to begin. I was reminded, though, of childhood, when I was living in an apartment complex where every Fourth of July would bring disparate families together, and many adults would have horded up collections of fireworks from vacation visits to New Hampshire and places down south. It would be a sort of contest between the two main wings of the apartment buildings — who could have the more spectacular displays that night? As kids, it didn’t matter who won that sort of contest — we were all winners. But what the other night brought back to me was how, the day after the fireworks at our apartment building, us kids would all get up wicked early in the morning and have our own contest: who could find the most spent fireworks. We’d scuttle around on wet grass, gathering and gathering, and then showing off what we found, even trading like baseball cards. I imagine our parents didn’t mind. We were doing some sort of unofficial clean up duty of the neighborhood. But I still remember the lingering smell on my fingertips of old firecrackers and roman candles, and even a few unexploded ones how dead from the dampness of the night. Sometimes, we’d let them dry out, spin the paper off them, and then light the powder left behind. All out of eyeshot and earshot of the adults, of course. This memory had me wondering about the fireworks we watched from the distance. Who cleans up the spent fireworks at the park? Is there a horde of kids coming out of the mist of dawn to gather them up? Somehow, I doubt it. It just seems like yet another childhood tradition fallen by the wayside as we “protect” our kids. Even me. It didn’t occur to me to get my sons up bright and early that next morning and scour the fields for old fireworks. I’m not even sure they would go. I imagine that there is going to be a flood of books from publishers trying to get an angle into understanding and implementing the Common Core curriculum. 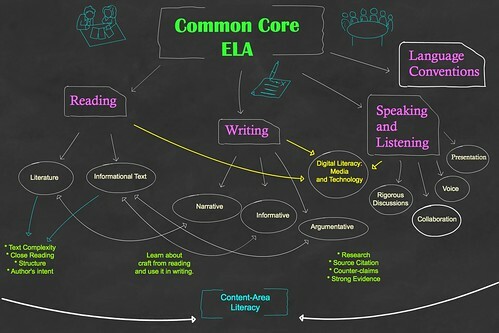 My state is right in the mix of the Common Cores — shifts should already be happening — and our Western Massachusetts Writing Project is already seen as having expertise in the ELA components. So, I cast a critical eye on books that center on the Common Core, but I am also very interested in what other people have to say. Pathways to the Common Core: Accelerating Achievement by Lucy Calkins, Mary Ehrenworth and Christopher Lehman is a shining example of how three smart educators come to the Common Core with a critical lens, shift through the expectations of students and teachers, and come out the other side with a fair, logical and open look at how to meet the objectives while still maintaining a professional voice as a teacher in the classroom. They don’t skirt the challenges, particularly around the balances needed in reading a large amount of non-fictional text next to narrative text, and the requirement for a comprehensive review of how argument and opinion is taught across the grades, and how content areas teachers must be ready and prepared to teach reading and writing, too. The authors also highlight the many concerns and fears that teachers may have about the Common Core, acknowledging the tension that “national standards” bring the table (even if the Common Core is not officially being called national standards). What I liked is how Calkins, Ehrenworth and Lehman follow progressions of learning vertically as well as horizontally, and offer positive advice on how to meet the challenges. They have clearly done their homework here, and they highlight best practices across the board in meaningful ways. The last few chapters, which may be more for administrators than teachers, gives a blueprint on how to get conversations in school buildings and districts started, and how to support change by first building on strengths already in play and the moving outward from there. My main criticism — and this is my own lens speaking here — is that the book barely mentions the roles that media and technology can play in the Common Core. Except for a section around Speaking and Listening, Pathways doesn’t really acknowledge the world of literacy that kids are living in, and how the standards actually open doors for collaborative writing, use of technology for publishing, and more. I know, however, that that is not the focus of this book. It was just something I noticed. Overall, Pathways to the Common Core does what it sets out to do: explain how the Common Core can unfold, highlight the challenges that will face most teachers, and provide a potential path for bringing the standards into curriculum design.